Beauty Smackdown : Best Exfoliating Cloths. Forever on the quest for smooth, blemish free skin, scrolling through the many forums and topics online. 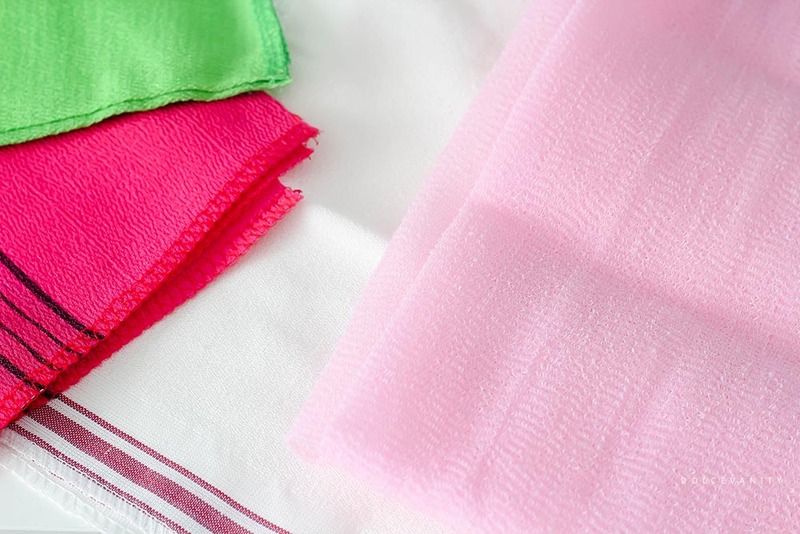 I had come across a few that were talking about Salux cloths. Women were talking about using it for getting rid of their dark knees and elbows. Others were talking about the follicles on the legs and how visible they were due to the pigmentation from shaving - I've never thought about the leg spots, probably cos I couldn't give a crap. Anyway it led me to find out about Salux cloths, nothing knew in the beauty community and I guess as I was satisfied to the high heavens with my Soap and Glory Exfoliating Gloves, I never looked elsewhere. Salux ClothThe first time I used it, my skin felt like it had never felt before. Any signs of hairs that were coming through were softened and risk of ingrown hairs were limited after use. I saw little bits of dead skin but not much. I had to wait out the exfoliating days. Made of 60% nylon 40% polyester & 11x35 inches. It's big enough for you to use on your back so everywhere gets scrubbed. You just wet your body, soap your wet Salux cloth and you get a good lather with it but don't put it under direct running water otherwise your suds disappear. Once you're finished hang it up to dry, I put mine on the radiator. I noticed MakeupAlley gives it a high rating and I can see why. I don't find it as harsh but it's effective to get the skin smooth and as it gets down onto the back it's a lot better than gloves. I have a detergent bag that I pop this into through the wash and it's still doing fine. This one for some can take some getting use too, for me is good enough for either a daily or every other day wash especially for the back. The prices for this varies, I got mine off Amazon and it cost £7.99. Turkish Bath Hamam Hammam Spa Exfoliator Kese GloveIt's unlike other exfoliators, reminds me of mild sandpaper, it has a slight gritty texture and you'll be surprised how well it works. I had also been alerted to the Baiden Mitten while on my online travels and sorry no I'm not buying a mitten for $50. Thankfully people had said they compared them to generic versions and it was the same material. I just took her word for it as I don't have it to compare. These ones have 'coding' I got 161A described to be used on standard skin and the texture is 'special'. It's special alright. I soak in the bath for about 20-30 minutes, good opportunity to play online casino netbet, you don't want to have any moisturising body wash on the body, you need the mitt to work on friction with the skin. I did use Dudu Osun African Black Soap as it gives that squeaky clean instead of moisturising. I start with small rubs and start rubbing backwards and forwards until I start to notice eraser shaving like rolls on my skin. 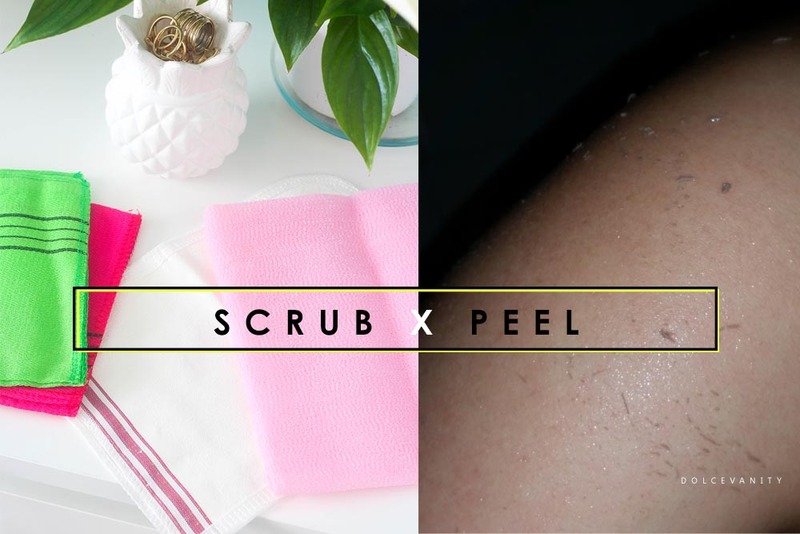 scrub & peel! Don't rinse them off as they help to keep the chain reaction going. It's a bit harder to get the back done, if you've got someone who's nice enough to help you, do - you'll be shocked. This is where you'll probably see a lot and on the thighs. My skin was soft for about 4 days after use. ‣ Sweat ‣ Wash with Soap ‣ Rinse Well ‣ Scrub & Peel. I'd say get this for under £3.50 on eBay instead of getting the $50 one first. 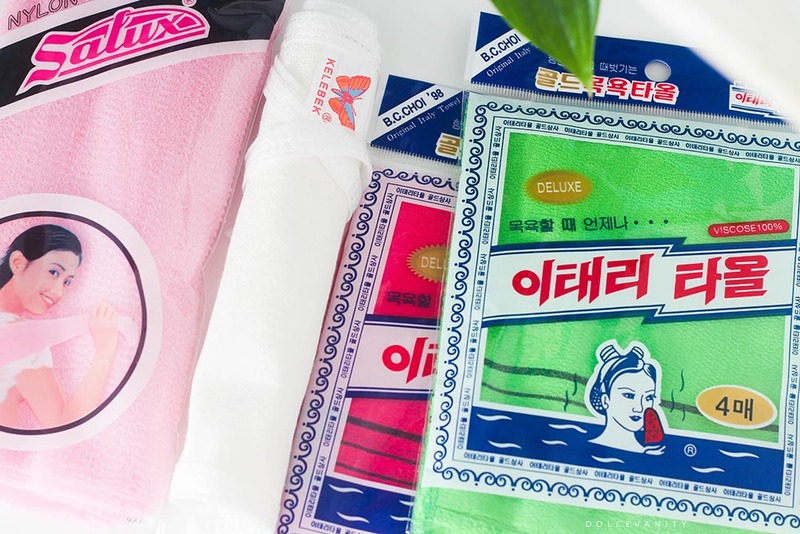 Korean Italy TowelThese little towels come in 3 different colours, Pink, Green and Yellow. Forums say the colours indicate the strength of the towels. As I can't read the packaging, I'm not sure but to me they have similar consistencies. On Amazon the seller doesn't recommend it for facial use. Although it's to be noted people have used it on their face (never use the same towel for body on the face). I used it on my cheeks where I have pigmentation, I probably wouldn't want to use it anywhere else on my face being the skin is thin and delicate on the face as it is. I didn't see any eraser shreddings but let's be real, I'm forever exfoliating so I'm not surprised but Goddess damn did my cheeks feel out the womb skin fresh! When you first use these, they'll shrink when in contact with water. I wouldn't use this daily, it'll be like the Turkish mitt, one for a weekly use. MakeupAlley gives this 5/5 across the board. Made of 100% Viscose 8 piece set of red and green mitts for £6.00 from Amazon. It may all seem like a hassle but it's part of the process, it's like going to a Turkish bath or a Jjimjilbang. The biggest part is the soak, soften up the skin, this should take about 20 minutes to do because if the skin is too moisturised it won't work. Your arms will hurt, I won't deny that, you really need to scrub. Try not to over-exfoliate, it's easy to do once you see these results but you'll only be doing more harm as you've got to give the skin time to build up the dead skin to exfoliate. I'd say every 5-7 days is sufficient enough but everyone's skin is different. Is picture evidence enough? This was just the start of the eraser rolls on my upper arm. That's the three different exfoliating cloths and the best I've used thus far. The Salux cloth I find doesn't need to be scrubbed as hard but I don't find as many skin rolls when using it but it always gets a use as it great for the back exfoliating. Turkish Glove, hands down I'll buy this continuously as long as it's UK available. Once the skin difference is felt, how can I go back? I might look like the crazy cloth lady but the combination of the Salux during the week and a real good scrub at the weekend is a sure way to keep the skin smooth and pigmentation, dark areas faded. After this routine the past few months has led me to wonder if I ever truly was clean before. How do you exfoliate? Cloths? Scrubs? Let me know below! Thank you for this great review and the links to the products mentioned!